Trade analysts are expecting KGF: Chapter 1 to mint Rs 200 crore by the end of this week. The latest entrant from the Kannada film industry, KGF: Chapter 1, has taken the box office by storm. The gangster drama by Prashanth Neel starring Yash, Srinidhi Shetty, Achyuth Kumar and Malavika Avinash in pivotal roles has impressed audiences from overseas markets as well. The Kannada film that has also been released in Tamil, Telugu, Malayalam and Hindi has faced stiff competition as well but that hasn't dented its collections. 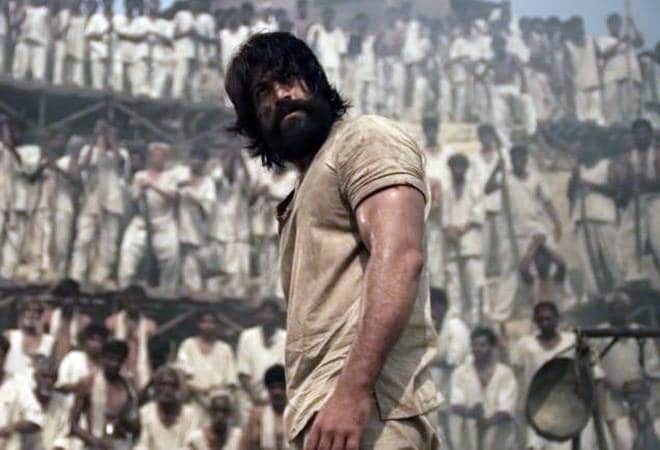 In 13 days, Yash's KGF: Chapter 1, the first instalment of the two-part series, has managed to collect Rs 175 crore worldwide with a net of Rs 138.5 crore. KGF: Chapter 1 also managed to cross the $1 million mark overseas. Trade analysts are expecting KGF: Chapter 1 to mint Rs 200 crore by the end of this week. Trade analyst, Taran Adarsh, also revealed the significant role the Hindi version of KGF: Chapter 1 had to play in its stellar collections. By Tuesday, with competition from the hugely successful Rohit Shetty movie Simmba starring Ranveer Singh and Sara Ali Khan, KGF: Chapter 1's Hindi version managed to earn Rs 30.45 crore. In its second week, the Hindi version of KGF: Chapter 1, made Rs 1.25 crore on Friday, and followed with Rs 1.75 crore on Saturday, Rs 2.25 crore on Sunday, Rs 1.50 crore on Monday, and Rs 2.25 crore on Tuesday. While KGF: Chapter 1 received mixed reviews from critics, audiences were mostly impressed with the movie. Positive word of mouth propelled KGF: Chapter 1's worldwide collections. Initially the Hindi version of KGF: Chapter 1 faced competition from Shah Rukh Khan's Zero, followed by Ranveer Singh's Simmba. However, KGF: Chapter 1 has managed to fend off the competition and rule the box office.